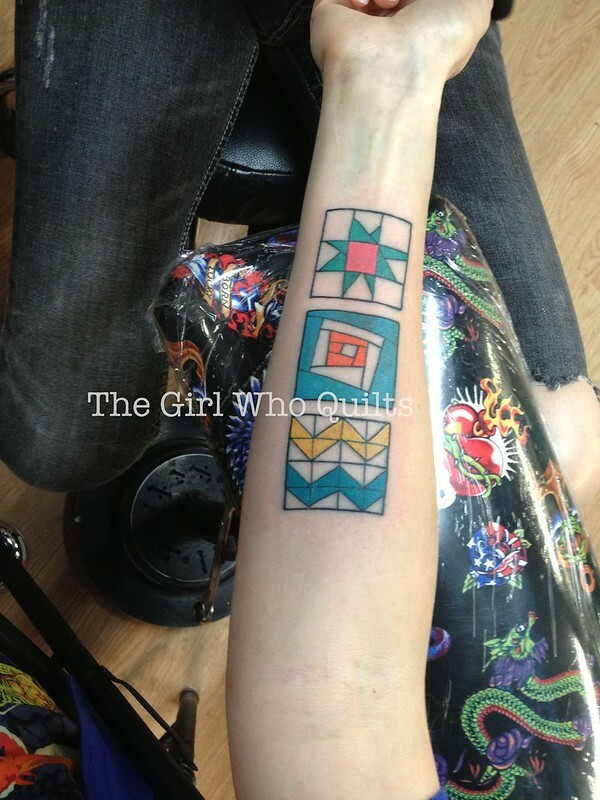 A few weeks ago I sat down to write about QuiltCon: the people I met, the classes I took, the tattoo that I got (true story!). Then a good friend arrived for a long weekend visit, and I saved what I had written as a draft. While my friend was visiting, my quilts arrived back from the QuiltCon show. I was anxiously awaiting them, as one of them is soon to be shipped off to the International Quilt Festival in Ireland. I completely forgot that my quilts would arrive back home with the judges' feedback from the show. I won't share the dirty little details, but suffice it to say that the feedback was quite disappointing. Each quilt had 1 positive comment, which I took as the token "we better say *something* nice". The rest of the feedback was not just negative, but completely lacking in direction. 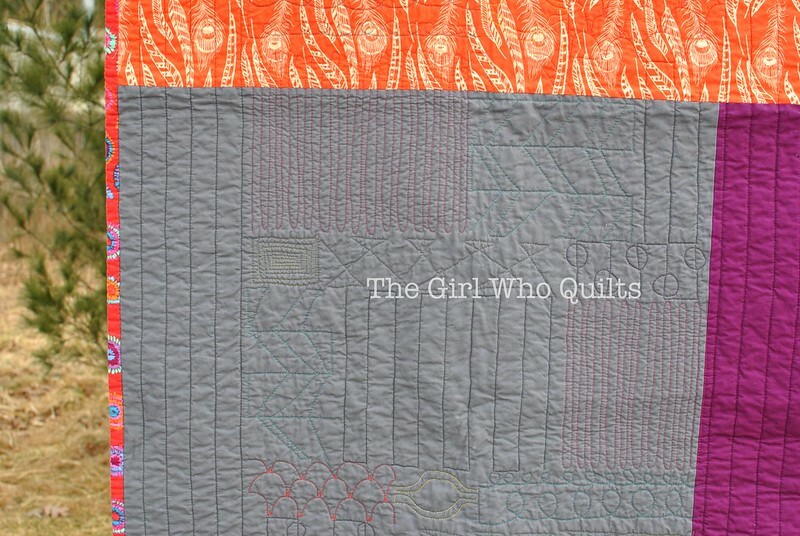 I realize that my quilts are not the best, and they are just that....quilts. But, they are also an expression of me as a person, and I took the comments very personally. I threw a bit of a pity party (complete with a quilt shop trip and several mini cupcakes), but in the end I still love my quilts as much as I did when they were first accepted into the show. I know that my craftsmanship is good (that was even one of the positive comments, ha!! ), and design is subjective. I don't love some of the things that the "big name" quilters create, even when many other people do. So, while it did upset me that my quilts were not well received by the judges, I do want to continue to share what I create. I originally made this quilt to play with some extra blocks, and once it was complete I thought it looked quite like a totem pole. 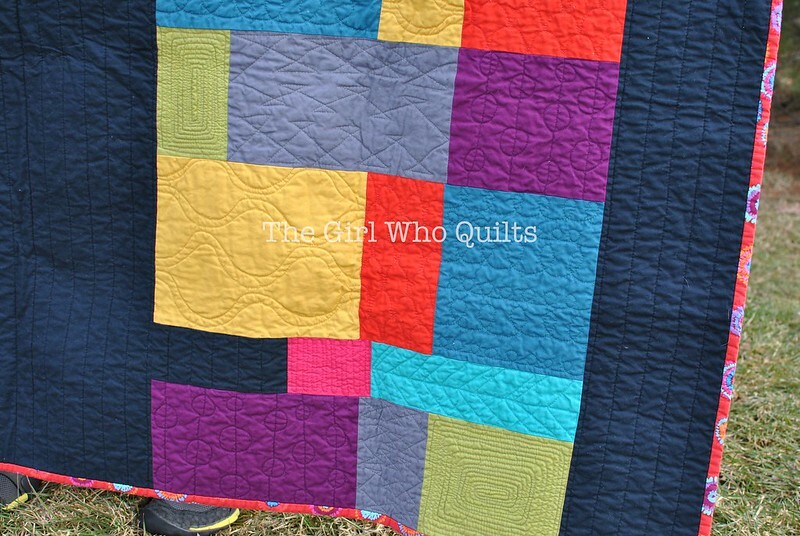 I named the quilt "My Tribe", referring to the quilting community. Some people really seem to enjoy the online quilting community and develop lasting friendships. Others have a hard time breaking through. My experience has been somewhere between the two...I've made some friends and I do feel that the relationships that I made through the online community have helped me through two cross country moves and countless other life experiences. Having said that, I don't feel that I've really found my place in the online world and I have only a handful of (totally awesome!) friends that I've made in the online community. 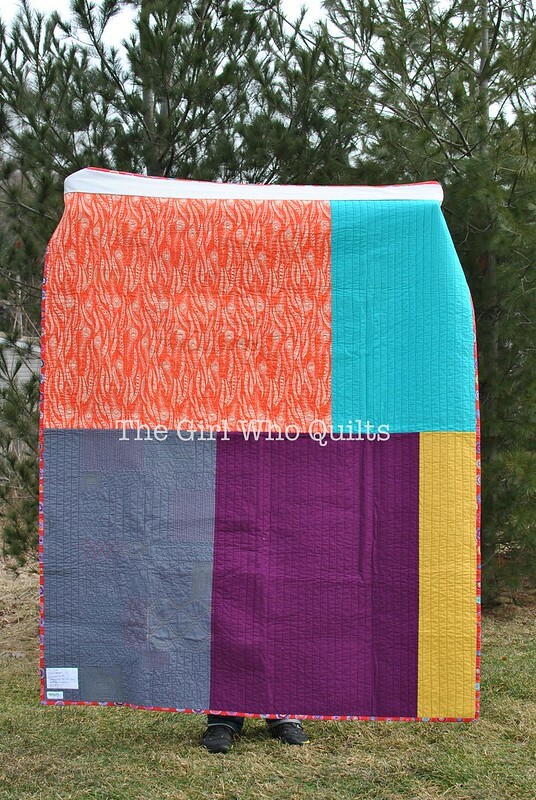 So I suppose in some ways the negative feedback on this quilt just fit too well? The only printed fabric that I used on the quilt front was the binding, which is a Kaffe Fassett print. I stumbled on this print one day and I loved that it included so many of the colors in the quilt top. The quilt back includes left over solids and a feather print that really seemed to go well with the rest of the quilt. On the back you can see some of the quilting a bit better. I almost wish the entire back was this grey color so that the quilting would really shine! I have to admit, I'm a little nervous to hit "publish" on this post. But really, writing all of this out was quite therapeutic for me. 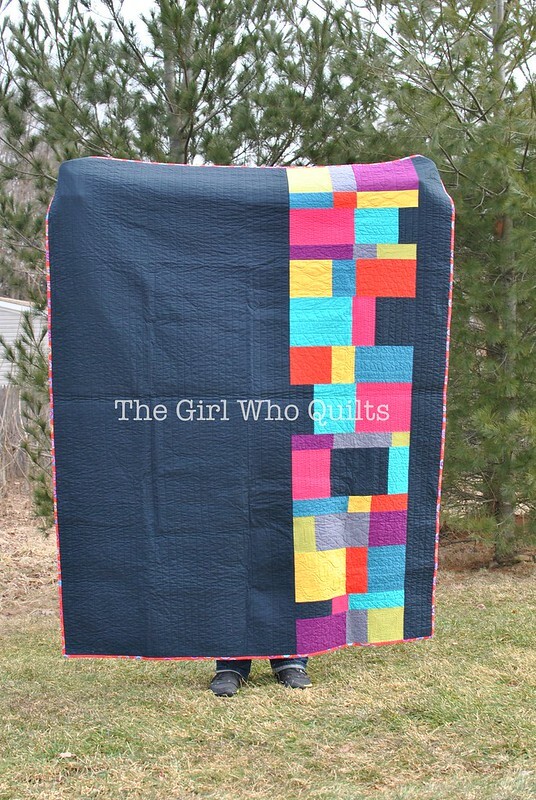 Just about everything that I love about this quilt was criticized by the judges, but I hadn't fully realized that until I actually wrote it down! Oh, and because I'm sure someone will ask, here's my tattoo (it's on the inside of my right forearm)! Getting to know my friend Mandy better and spending an entire evening in a tattoo studio together were certainly the highlights of QuiltCon for me! Oh, and hop on over to Mandy's blog, she has started a "Technique Tuesday"!